Martinez Dental Solutions offers implant dentistry. Dental implants are surgically placed, allowing for a permanent, natural-looking, and functional solution to missing teeth. Since dental implants naturally integrate with your jawbone, they are exceptionally stable and reduce bone loss, which is common when the natural tooth structure is no longer present. Dental implants function just like natural teeth; your normal chewing function works as before, and your diet is not restricted due to having implants. 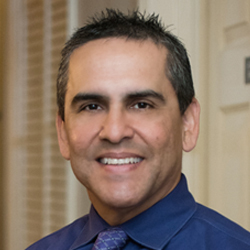 Dr. Jose M. Martinez both places and restores dental implants. The process begins when our dental team takes 3D digital x-rays of your mouth and use advanced software to plan your treatment. We use an outside lab to create custom implants and crowns based off of the design Dr. Jose M. Martinez creates. All placement and restoration surgery takes place right at our Jacksonville implant dentistry office. You will need to take a day off of work on the day of the procedure. However, you'll be ready to return to work the next day. Once your dental implants are in place, you will still need to focus on good oral health practices, despite the absence of natural teeth, as dental implants can fail due to improper care. Make sure to brush and floss regularly to control bacteria and ensure that your gums remain as healthy as possible to keep your dental implants in excellent condition. Insurance companies often provide coverage or discounts for dental implants, making them more affordable than you may realize.